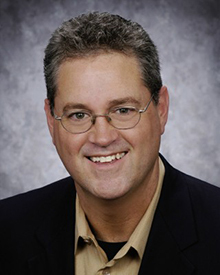 Dr. Andy Michaud graduated from Louisiana State University College of Veterinary Medicine in 1984 and opened Interlachen Animal Hospital in 1991. Dr. Andy and the staff at Interlachen Animal Hospital have been providing high quality veterinary services for pets in the Winter Park, Maitland, and Casselberry areas for over 20 years. Member of the American Veterinary Medical Association and licensed by the State of Florida, Interlachen Animal Hospital has provided the highest standards of care in veterinary medicine. Dr. Andy is also accredited by the United States Department of Agriculture. Interlachen Animal Hospital has successfully passed a detailed inspection by the Florida Board of Veterinary Medicine and Seminole County Department of Animal Services. Dr. Andy Michaud is committed to providing your pet with the most current and state-of-the-art veterinary medical care, diagnostics, and treatments available to modern medicine.